He survived torpedos in WWII, started chartering a large schooner in Nova Scotia, pioneered the Caribbean charter trade, owning and sailing many great schooners. 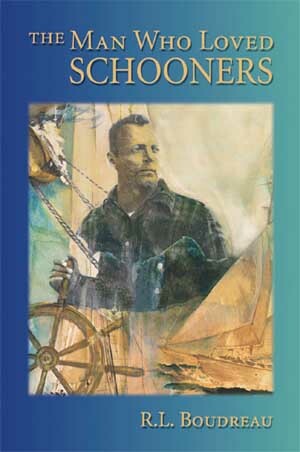 The Man Who Loved Schooners plots an exciting voyage across four decades of Boudreau's passion for sailing and schooners and his adventures under sail - from a confrontation with a 65-foot rogue wave to a fight with drug pirates in the Bahamas to an eerie encounter with a tiger shark to the onslaught of a vicious hurricane. Walter Boudreau's son, Robert Louis Boudreau, has chronicled the stories his father passed on to him. As Lou Boudreau writes, "Although I have put pen to paper, it is my father who speaks in his own voice."